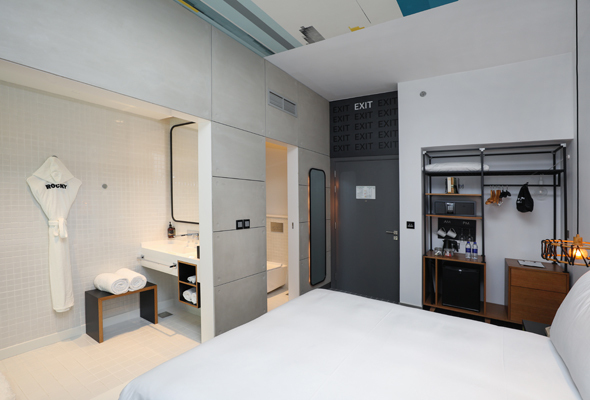 A sleek new hotel has just opened its doors in Dubai, and it’s well worth checking out. 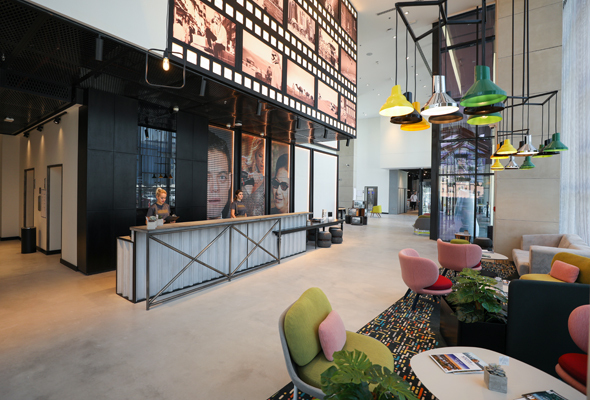 Promising ‘affordable hospitality and innovative F&B concepts’, it’s lights, camera, action for the uber-cool Studio One Hotel, now open in Dubai Studio City. 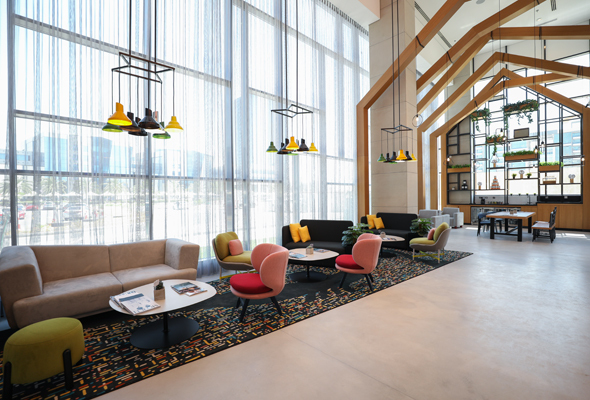 Brought to the city by the same people behind Media One Hotel, Studio One Hotel is located in the hub of Dubai Studio City, and boasts 141 guest rooms. Room categories range from studio rooms suitable for longer stays to bunk bed rooms perfect for families, with all rooms able to be converted into twin set-ups. There’s a grab-&-go counter for a quick bite on the run, an in-house laundrette and each floor is also equipped with a self-service pantry. 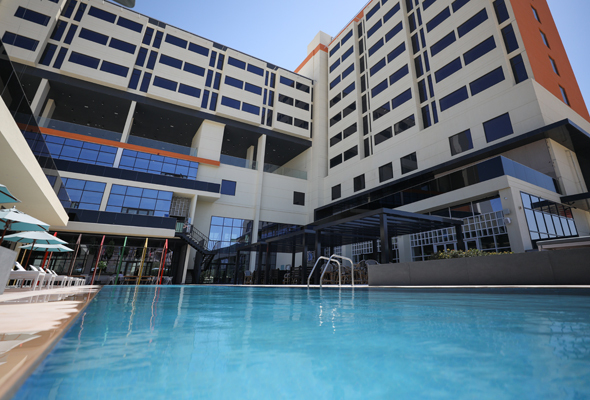 So whether you’re staying a week or two, or more, the hotel is designed with all the in-house services you’ll need. You’ll also find plenty of facilities to take advantage of, even if you’re not a guest of the hotel. Take a dip in the generous, alfresco swimming pool, get pampered at the salon, or head to the fully-equipped gym, which will be open for workouts round the clock. Business travellers can take advantage of different meeting and events spaces, and there’s even a mini-cinema for intimate movie showings or events. The hotel is set to welcome an impressive line-up of some of Dubai’s best homegrown restaurants and bars in the coming weeks too. Already open is cosy Italian bistro, LARTE, while still to come is The Maine Street Eatery, The Irish Village and Mr Miyagi’s. Two new concepts, El Chapo’s Tacos and The Meating Room will also open their doors soon. Fancy checking in to check it out? The hotel is launching with a brilliant introductory offer. 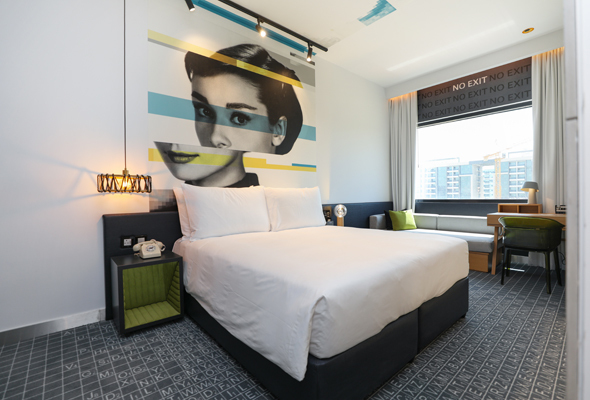 Guests who book and stay in the hotel between May 1 and June 30, can avail room rates for Dhs300 per night, with Dhs300 back to spend in Studio One’s all-star line-up of restaurants and bars.